Product #5962 | SKU CSS-204 | 0.0 (no ratings yet) Thanks for your rating! 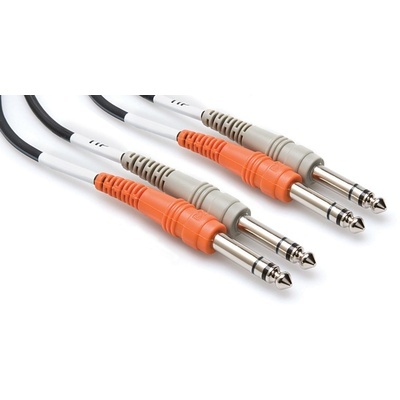 This Hosa 2 x 1/4" TRS Male to 2 x 1/4" TRS Male Stereo Audio Cable (3.3') is a dual audio interconnect cable with heavy-duty cabling and injection-molded terminations for outstanding performance and durability. Ideal for stereo Left/Right balanced applications.